Lisbon’s city center is made of hills and valleys full of history and beautiful sights and these are four contemporary buildings you must visit. ::: tip This is Part 2 (of 3) of the Lisbon Contemporary Architecture Guide. Lisbon's city center is a joy to get lost in. Do yourself a favor and just walk, no map, no destination. Eat everything that catches your eye and just take the city in. Spend some time soaking your feet in the Tagus, go up some buildings, enjoy some museums, and drink some beers at one of the many terraces overlooking the city. And then get back to your architecture trail. The buildings in this section are fewer and more sparsely located than in the Expo '98 site or in Belem. Take it as an opportunity to walk all over the city and explore it while on the way from one building to the other. We'll start up north at the Calouste Gulbekian Foundation and Museum, a masterpiece of Portugal's Modernism, then go back downhill to check three works from Portuguese master Alvaro Siza. 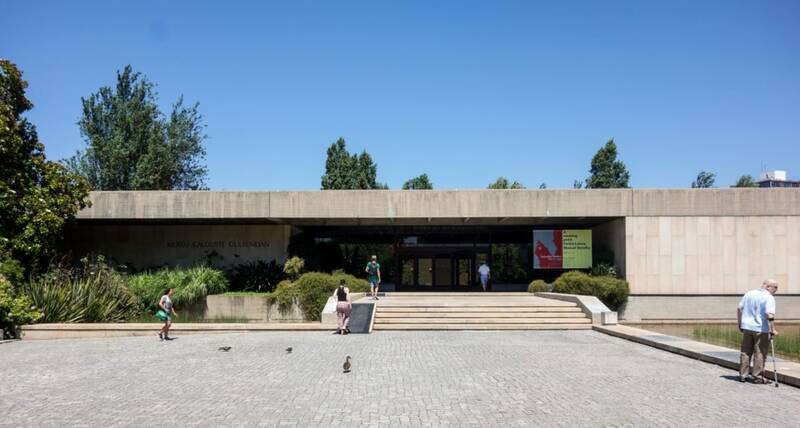 Maybe the most valuable specimen of Portugal's Modernism, the Museum Calouste Gulbenkian offers a mix of great architecture, art and landscape design in a beautiful setting. It is a group of austere, simple building distributed throughout a park. The Modern Collection building offers a wide variety of spaces and light situations, while the main Museum is a simpler rectangular building perforated by two courtyards. Its importance was recognized when it received the status of National Monument in 2010. It is a great group of buildings housing excellent art. The Atelier-Museum Júlio Pomar is an institution in Lisbon which houses works from Portuguese painter Julio Pomar. 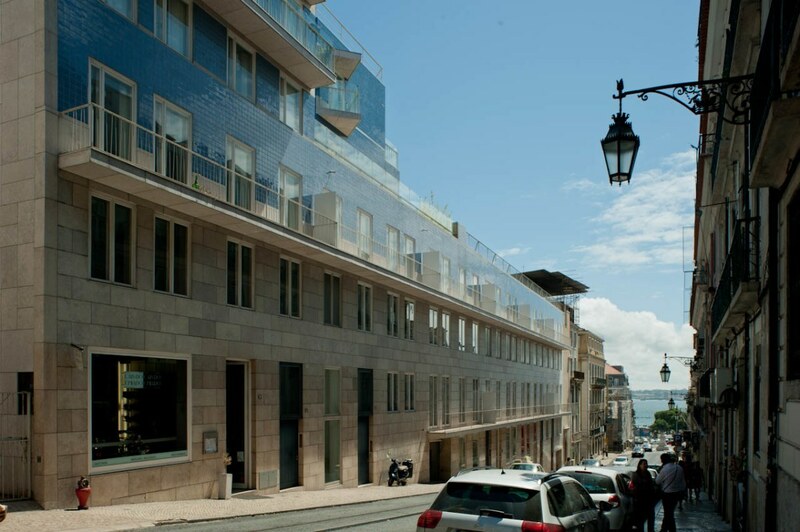 Inaugurated in 2013, it was a renovation project by Álvaro Siza located in an old warehouse from the 17th century. It has two floors, containing a central area for exhibitions, administration areas and an outer courtyard from which visitors can access the building. 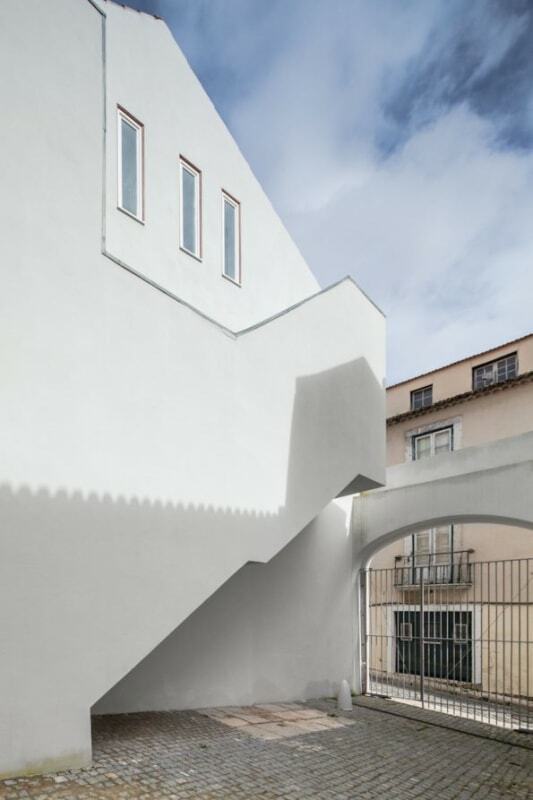 This important project from Siza sits on what was considered a very complicated site: between two sloping parallel streets and containing the historical remnants of an old city wall. Siza separated all five blocks (containing housing, offices, and commerce) with gaps in between, mimicking the neighboring buildings, respecting their dimensions and proportions while still being modern. The use of blue tiles on the facades make the buildings mix with the blue Lisbon sky. It gives continuity to what already exists while creating something new. One more work from Siza which is work a look. More of a collection of interventions: the Baixa/Chiado subway station, up to the area around the Santa Justa Lift and the Carmo Terraces. 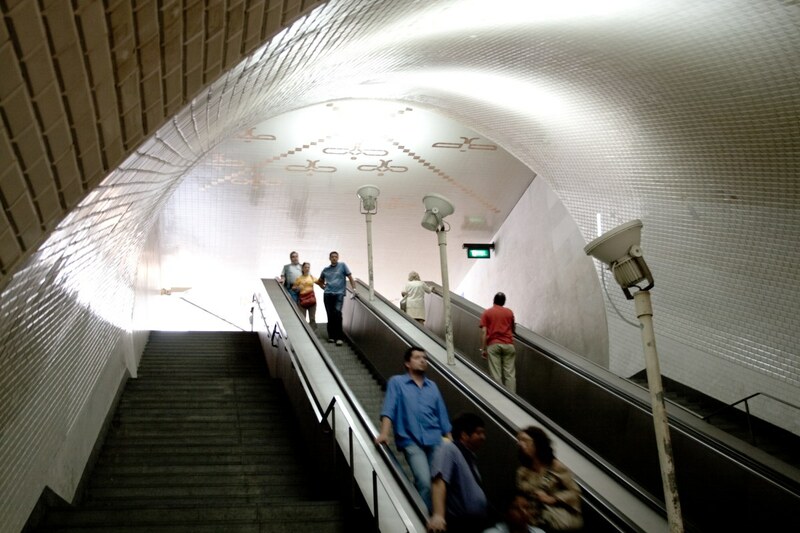 The subway station is beautiful all clad in white tiles, while the Carmo terraces offer a series of landscaped areas connecting the lower to the higher parts of the city. As the Santa Justa lift will for sure be on your itinerary, don't forget to check these two other works from the Portuguese master.